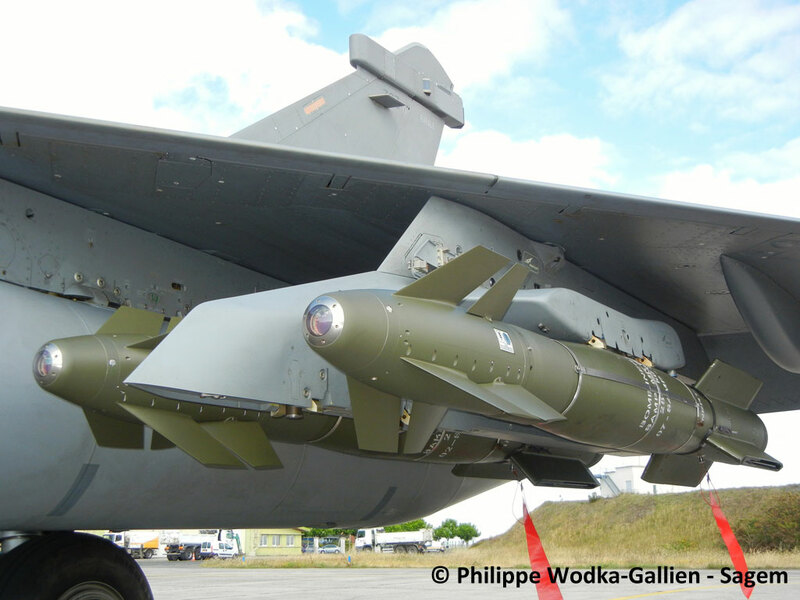 The French defence materiel organisation DGA (Direction GÃ©nÃ©rale de lâ€™Armament) announced on 3 April that it had certified the third and latest version of the Sagem AASM (Armement Air-Sol Modulaire â€“ Modular Air-to-Ground Weapon)fire and forgetprecision-guided munition. 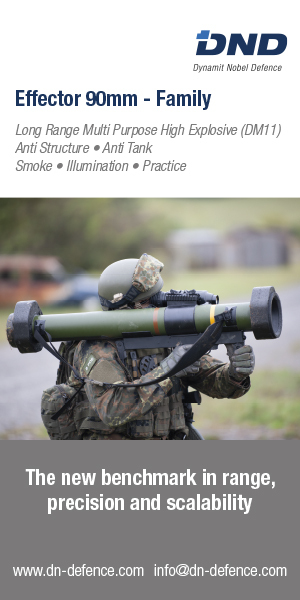 The new SBU-54 guidance kit introduces laser terminal guidance and brings an extended capability to hit moving targets to the AASM family of all-weather smart stand-off munitions, which is named Hammer for export purposes. Qualification tests with SBU-54 were concluded in December 2012 and 380 are currently on order, part of a French long term order of 3,400 of all three versions. The AASM program began in earnest in 2000 when Sagem was awarded a contract by DGA for the development and production of an initial lot of 750 weapons. The SBU-38 basic version which uses GPS/INS guidance against static targets underwent its first in-flight weapons release test on 1 December 2006. After certification, it quickly entered service with Rafale fighter units of the French air force which used the new weapon in anger for the first time on 20 April 2008 while operating over Afghanistan. Certified in 2009, the SBU-64 dual-mode guided version is able to handle relatively slow-moving targets and was designed from the outset to better cope with GPS degraded environments. Initially using GPS/INS to head towards a predefined area, terminal guidance of SBU-64 is performed by an infrared imager which is able to recognize physical terrain features and then home in on the targetâ€™s characteristic thermal image. It entered service with the French air force and navy in July 2011 and was used during Operation Unified Protector, the air campaign over Libya. Speaking at Sagemâ€™s MontluÃ§on facility in January, Jean-Christophe Mugler, the then-deputy director of sales and marketing of the Sagem Avionics Division (since promoted to director of marketing and sales of the Sagem Optronics & Defence Division), indicated that AASM has a wide launch acceptable region, due to it being suited for high off-axis weapons releases at up to 90 degrees from the aircraftâ€™s own flightpath. This can be achieved due to the unique aerodynamic features of its dual canard stabilizer which make that AASM has superior maneuvreability in comparison to US Paveway kits, according to Mugler. The AASM system consists of a guidance kit (SBU-38, -64 or -54) with MIL-STD-1553/1760 aircraft/store interfaces and a range extension kit with folding wings and a solid propellant booster. Sagem indicates it can offer the AASM system in four sizes. It can be fitted to the Mk80 series of bombs or similar warheads (including hard target penetrator variants): 125 kg (Mk81), 250 kg (Mk82), 500 kg (Mk83) or 1,000 kg (Mk84) bombs, although the latter would need larger airfoils to compensate for its higher weight. The 250 kg variant is the only which is currently in production. With ranges of up to 60 km during high altitude weapons releases, AASM is well suited for attacking multiple targets (up to six with Rafale) simultaneously during close air support, air interdiction, deep strike or suppression/destruction of enemy air defenses missions, according to Sagemâ€™s information. Impact conditions (velocity, angle of impact, angle of attack) during its final trajectory are tightly controlled in order to limit collateral damage while the weapon achieves the desired effect on the target. At MontluÃ§on, Mugler also spoke about the possible introduction of a datalink module to further improve AASM capabilities in the near future. Such a capability would enable data exchange while the weapon is in flight. Sagem joined forces with MBDA in 2008 in an effort to optimize AASM marketing. AASM-250 is currently operational with the French air force and navy on the Rafale fighter aircraft and has been exported to Morocco for its fleet of recently upgraded Dassault Mirage F1s. It has also being offered to India together with the MBDA MICA air-to-air missile as part of the French bid for the Medium Multi-Role Combat Aircraft (MMRCA) requirement which could lead to an export deal for 126 Rafale fighters. 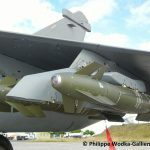 Despite it being certified for carriage on the Mirage 2000D, the French air force has decided not to introduce the weapon into the 2000Dâ€™s armament. Sagem is currently eyeing a possible integration of AASM on the LockheedMartin F-16. This would significantly increase AASMâ€™s export potential with Morocco, Jordan and Denmark reportedly being interested.